﻿ Do you Believe in these 7 Car Superstitions? Home Auto Insurance Guides How Many of These Car Superstitions Do You Have? How Many of These Car Superstitions Do You Have? All right, I admit it: I’m a superstitious driver. I lift my feet over railroad tracks. I like the gas pump display to end in odd numbers. I hang a good-luck fish from the rear-view mirror. I won’t drive behind car transporters. I’m a believer of car superstitions. But now, at least, I know I’m not alone. 1. Slapping the sun visor after going through a yellow light. This driving superstition is a common one. Some people slap the sun visor, while some kiss their fingers and then touch the ceiling. Think of it as a silent “thank you” — or a gesture of triumph for squeaking through the light without getting hit or pulled over. 2. Slapping the sun visor when you see a padiddle or padunkle. 3. Holding your breath when you drive by a cemetery. 4. 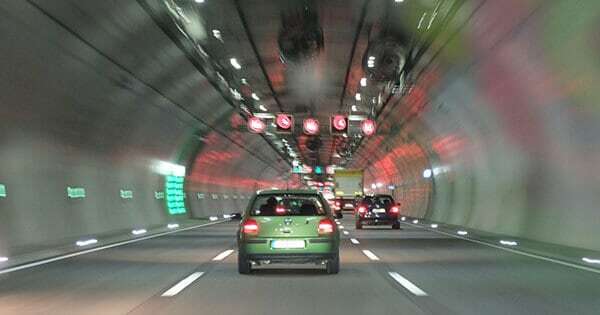 Holding your breath when you drive through a tunnel. Holding your breath in a tunnel can be a really bad idea, as one young man proved in 2014. “Daniel J. Calhon, of Snohomish, Washington, told investigators he fainted Sunday afternoon while holding his breath in the Highway 26 tunnel,” CBS News reports. The kicker: the tunnel only takes about 10 seconds to drive through. Fortunately, all those involved in the accident survived. 5. Throwing change under the seat of a new car. To wish good luck to the driver of a new car, some people throw a handful of change under the driver’s seat. This has the added benefit of helping you pay tolls in a pinch. 6. Intentionally scratching a new car. When you buy a new car, you’re petrified someone will scratch the beautiful finish. One way to prevent it, some believe, is to go ahead and scratch the car yourself. Don’t go crazy and key the door; just scratch the paint somewhere unobtrusive, like the wheel well. 7. Lifting your feet from the pedals when you cross over railroad tracks. I’ve done this since I was a kid, but never knew why. 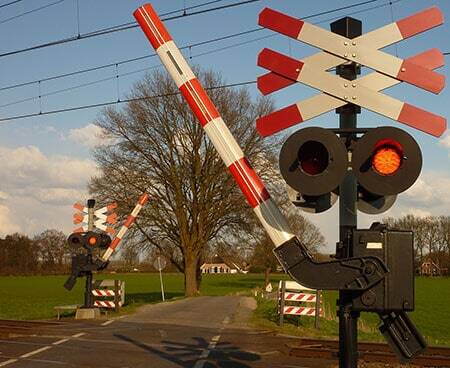 According to the James T. Callow Folklore Archive, people have all kinds of reasons and superstitions associated with crossing tracks. If you don’t lift your feet, you’ll lose your sweetheart, or never get married, or die young, depending on who you believe. And if you also touch the ceiling while raising your feet, you’ll have good luck. Or, you know, run off the road. Here’s a smarter way to take care of your car than holding your breath and crossing your fingers for your car superstitions to work: find a better, cheaper car insurance policy on Compare.com. In a few minutes, you can get free quotes from top insurers. Try it now!